Looking for creative March social media ideas? This post is packed with Social Media Holidays for March, with plenty of social video ideas, GIFs, posting ideas and more! It can be hard to think of what to post for your business or brand – especially if you are wanting to add social video to the mix. Don’t worry, We’ve got you covered for March with this list of March social media ideas. Now you can create a post quickly for any day of the week in March. I’ve even included video tools and video ideas to help you create short, social videos. And GIFs too! Don’t stick to static content – animate it with GIFs and videos. There’s social media holidays for each day of the week. And of course our March social media ideas also include popular and international holidays, as well as more unusual holidays and days of celebrations. Dozens of ideas for you, ready to go… 60+ in fact, all for the month of March. And don’t forget to bookmark this and our other calendar posts for later reference. 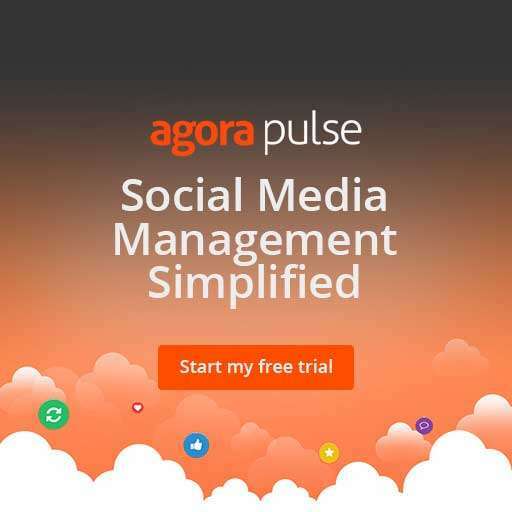 What Comes With The March Social Media Ideas? an easy quick reference guide to social media holidays for March. It includes some of the most popular days to remember in a handy infographic, so please feel free to share it. an overview of March social media ideas. It includes what you can create and how to create it. The focus is in social video and GIFs but you can use these ideas for images too! a list of resources and tools to help you create visuals for Social Media Holidays. Don’t forget to use our Social Media Content Calendar to help you get your content prepped ahead of time! Creating content can be dang hard! It takes time and seems like a job that never ends. But, if you take the time to schedule ahead and use a few time hacks, you’ll find it be so much easier than you think – and get a month-s worth of content created and scheduled. In no time at all! Use templates. The tools I’ve recommended below all use templates to help you create your finished content from our March social media ideas. Use a template and let it guide your designs and edits. If you’re not a designer, save yourself some time creating and editing when it will take you hours. Instead, use a template that a designer has already produced for you to make it easy! Cut straight to editing the template – and limit your edits to just the text or photo or color or fonts. Don’t “over-edit” the template or you’ll ruin the nuances of the design (sorry, but this is one of the biggest mistakes I see, and that goes for me too!). Use batching. If you’re going to get creative and create some social videos or images, why not create more than one? Whether it’s another 2, 3, 10 or 20 short videos or images, the point here is that it is much easier to create a batch of content in one sitting rather than individual videos or images at separate times. If your computer is on, the software is open, keep creating. It saves you loads of time. 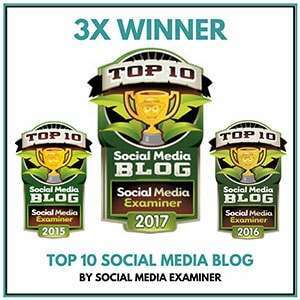 Create short videos to post on social media – On Facebook, Twitter, Instagram, short videos that are 15-30 seconds are enough (maybe up to 1 minute). These types of videos are designed to stop us scrolling through our feeds but not too long to lose our interest. For more advice about how to create effective 15 second videos, check out this post. Create content that is easily consumed. As I said, we like to scroll through our feed, so content like quotes, tips, observational humour, quick how-to videos work great for engagement. This is especially true on Facebook where people are, as I said, scrolling a lot. They need to be able to consume your content quickly and move on. Leverage the power of GIFs. You might think of GIFs as some fun, novelty thing, but they can be quite powerful in social media comments, emails, blog posts, and more. GIFs add humour and personality to your content. Whether you create your own GIFs (see tips below) or you use the millions of GIFs in the Giphy library, adding a GIF to your content can stand out and add some sass or laughs to the mix. It can also bring really bring home the point you are trying to make with a visual. Here’s a quick reference guide to some of the most popular March social media ideas and holidays so you don’t miss them. Share it or save it to Pinterest to refer to later. 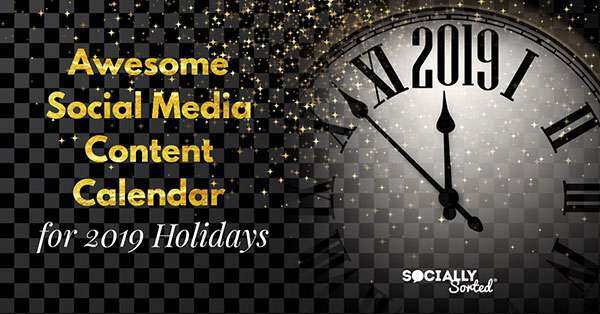 Want the see the complete 2019 Social Media Holiday Infographic? Click here. Create social videos based around the holiday or day– create a Top 5 list, produce a how-to video, go behind the scenes to share your business or team (related to the holiday in question), post a tutorial, or create a short quote video. Get creative with it! Is it World Grammar Day? Make a grammar pun post or ask your audience about their anecdotes with the ‘Grammar Police’. Maybe they are the ‘Grammar Police’ themselves! 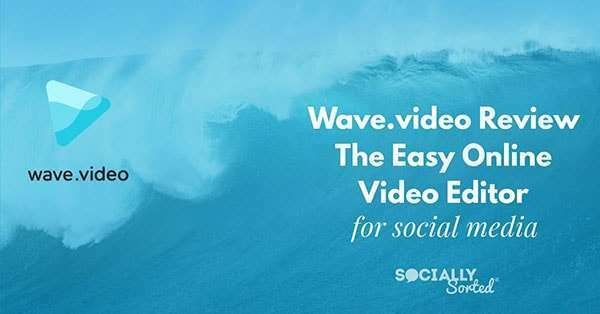 Use a video tool like Wave to help you create social videos. Create a fun GIF to celebrate the holiday in question (or poke fun at it). Don’t feel like creating a GIF? Instead, share a GIF direct from Giphy. Create an image to celebrate the holiday – it could be a quote, saying, meme, tip of the day, engaging photo that highlights the celebration day. Pair the image with text overlay to add context. This post focuses on creating social video and GIFs from our March social media ideas, but you can use any of these ideas to create still images too. You’re only limited by your imagination! Remember, there’s at least one holiday “day” for every day in this list of March social media ideas and holidays. Look out for the hashtags, tools, tips and resources to help you create visual content in 2019. This post will be updated annually to adjust the dates and days of celebration for each month, but we suggest you also check the calendar date before posting. We may miss one from time to time. We’ll also add content if we discover something we’ve missed. Keep it bookmarked to refer back to. Why not create a video highlighting some common, funny, or just plain irritating grammar mistakes. Here’s one that I created with Wave to help those that persist in using They’re, There, Their incorrectly in sentences. It’s tongue-in-cheek and of course it doesn’t cover every scenario that these words can be used in.. but if someone doesn’t understand their (not there) use, it can sure help! Feel free to share it or create your own using one of Wave’s templates. Maybe you have another grammatical error that you are sick of seeing. Make a funny video about it! While we’re talking about Grammar, Merriam Webster is a dictionary, repeat dictionary and they manage to have some of the most awesome and witty social media accounts on the web (and a very witty funny account). I’m not surprised that they also have a Giphy channel. See more GIFs by Merriam Webster here. 7. National Be Heard Day – #BeHeardDay – Find out more here. 8. International Women’s Day – Use #IWD and #BalanceForBetter in 2019. Why not share a quote from your favourite inspirational woman. From your Mum to Maya Angelou, share some inspirational wisdom with your audience! Maya Angelou Quote by Jam Factory on Giphy. Check them out – they create cool GIFs. A day to consider forgiving, forgetting or at least moving on! Today is all about napping. Share some cool or interesting or humorous content around sleep. 12. Alfred Hitchcock Day – #AlfredHitchcock or #AlfredHitchcockDay. Get content ideas here. 14. Popcorn Lover’s Day – #PopcornLoversDay (it’s also Potato Chip Day if you prefer!). March really is the month of sleep with National Napping Day and World Sleep Day being just a few days apart. Maybe we need a Sleep Week? 16. No Selfies Day – Take a break from selfies, and find out more here. 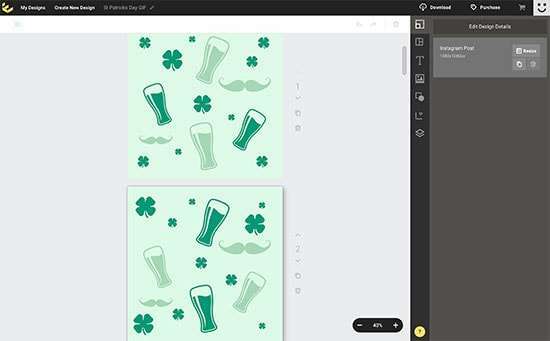 Celebrate St Patrick’s Day by creating something fun using the video and GIF tools below. Use this GIF in your comments and replies for St Patrick’s Day or add it as an FB post. March social media ideas for this post wouldn’t be the same without the luck of the Irish! You can’t go past a good book or author quote on World Storytelling Day. And you can’t go past J. K. Rowling as one of the world’s best Storytellers. This quick visual (and musical) quote is made from a template in Wave. Just search for “Quotes” in Wave’s template library. Today is a great day to share a quote from one of JK Tolkien’s books. You’ll find plenty of words to choose from in the Lord of the Rings series alone. "It's the job that's never started as takes longest to finish"
All you have to do is start…. 26. Nougat Day – #NougatDay – find out more about this yummy sweet’s day here. 27. National Quirky Song Titles Day – Find out more about this quirky day here. Find more Earth Hour GIFs on the @earthhour channel account. Or go to the Earth Hour Website here. National Cleaning Week – 24th march to 30th March. There are loads of visuals you can create for March but I’ve focused on social video and GIFs above for your social media channels. They’re the types of content we often miss, as it’s easier to do still images. So I’ve also added some tools below that will help you quickly create social video or even GIFs quickly and easily. These are tools that I love and use every day so I’ve kept it to the ones I know you can learn to use easily. And of course if you don’t have time, share some of the content I’ve added above! Wave is is my favourite go-to video tool for creating social video quickly and easily. The things I love about Wave are the template library, massive selection of image and video assets (included in your monthly membership), moveable text to overlay on your videos and the ability to add GIF stickers and stickers to your content. Did I say that I love GIFs? They also have a huge audio library so you’ll never be stuck for a song to use in your videos. In fact the only issue is that sometimes there are too many to choose from! Giphy is hands down the best source online for finding GIFs to share on your social channels. Their library is big! Go to the Giphy website and search on hashtags for the GIFs (or GIF Stickers) you want to find. Get creative with hashtag combinations and all sorts of GIF gems will come up. I have a branded Giphy Channel (Socially Sorted) and will be sharing my GIFs in these monthly posts so take a look there from time to time to see what you can share too. Hot Tip: You can access any of the Giphy creations via Twitter, Facebook or Instagram Stories! Use the Giphy/GIF search to search by hashtag for the type of GIF you want and then select it. Because I have a Giphy Channel you can actually search on #SociallySorted on Instagram Stories or Twitter or Facebook to find and share any of my GIFs (Facebook, Instagram Stories, Twitter) as well as my GIF Stickers too (Instagram Stories only). I believe they are also accessible on Snapchat. You can also create GIFs in Giphy too. They have a full creation studio. Find out more about creating GIFs in this post. Find out more about using GIF Stickers on Instagram in this post. Gifmaker is one my favourite GIF editing tools. It makes it super easy to edit, crop, and create GIFs using images or video. I love that GifMaker also allows you to host GIFs on their platform. This is great for quick GIFs that you want to create and share on your website or email but maybe don’t want to upload them to Giphy permanently. It’s a great quick fix. 4. Create your own GIFs in Easil. I use Easil to create most of my GIFs. There are a few tools that allow you to animate simple text, but the beauty of Easil is that you can take any element, graphic or font and turn it into a GIF. Here’s a simple template I edited in Easil to turn into the moving St Patrick’s Day GIF you see above. Want some more Calendar Ideas? 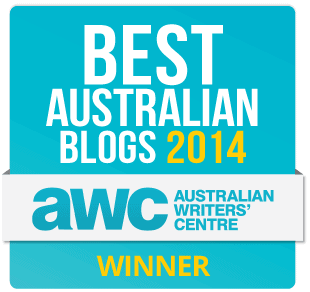 Do you schedule your content ahead? What are your Favourite March Social Media holidays and have we missed any?